It's no secret, we love reading. While all forms of reading are great, research suggests that reading books and literature provides more benefits than reading content on screens. Here are 7 reasons why! If you think that the summer time isn't a time for learning, think again! 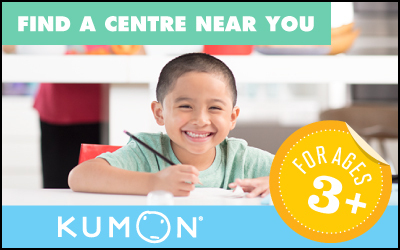 Our Kumon instructors have actually coined a new phrase to describe those dreamy summer days: "The Miracle Months"! Are you planning for academic readiness? Many families focus on planning for financial readiness, but no matter how much money you save, your kids need to be ready for university to succeed. You can give your child a fish, or teach them how to fish. Another option that doesn't involve fish? Read our blog! In this article, we feature our best self-learning tips from the past year. Researchers are paying more and more attention to what is now being called “summer learning loss”. The research suggests that kids not only stagnate during summer, but also lose what they learned. Father's Day is almost here! To celebrate, we put together a list of 15 books that feature Fathers first. Get your kids reading this summer with books the whole family can enjoy. We all want our kids to read more, especially in the current era of technology. That's why we are writing about reading! Here are our best reading tips articles from the past year. Natalie Wilson from Musical Advisors talks about how music can influence self-learning and help children achieve success. Encore! Nobody said being a parent was easy. But with these parenting tips, we hope it can become at least a little bit easier.